free trial period. Your account will be authorized to receive programming upon your first login. your PC, tablet or smartphone for only $6.99 per month or $69.99 per year. After the free trial period ends, your credit card will be charged monthly for your subscription or until you cancel your service. 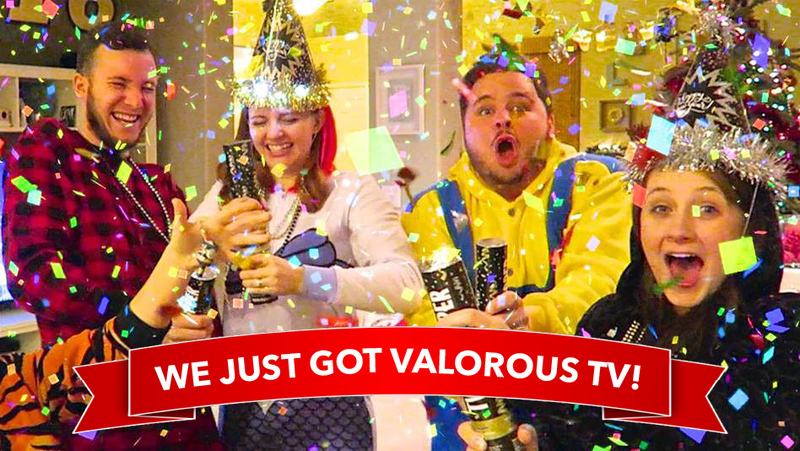 Cancel on ValorousTV.com or visit ValorousTV.com/contact to contact us. Programming fees are charged monthly in advance of each month, and no credits or refunds will be issued for partial or prepaid months after cancellation. Certain programs may be unavailable due to programmer restrictions or blackouts. Video quality of programs may vary due to age and production factors (For example, programs produced prior to 2000 may not be as clear and sharp as programs produced for High Definition or 4K in 2018). Some programs are rebroadcasts for fair use in the interest of wider public dissemination of news and important events, and education. At the current time, our service is only available within the United States. All prices, fees, charges, services, programming, features, functionality and offers subject to change without notice.